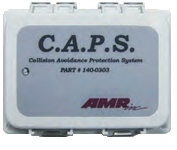 Collision Avoidance Protection System – CAPS | AMR, Inc. Collision Avoidance Protection System – CAPS | AMR, Inc. 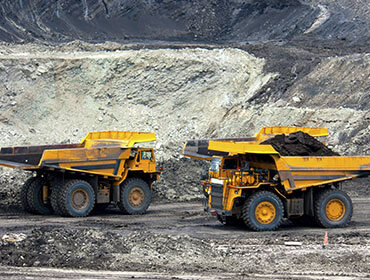 Designed to alert equipment operators of nearby personnel and other equipment, CAPS reduces the risk of crushing and pinning accidents as well as vehicle–to–vehicle collisions by detecting when a person or vehicle enters the “Customized Protection Zone” around the machine. When a tagged asset enters the protection zone, the system activates up to three open collector outputs for audible, visual, or other alert response systems to warn the equipment operator and nearby personnel of the dangerous situation. Using unique, two-way synchronous ranging technology, the CAPS transmitter creates one to two protective zones (Warning and Alarm) around the machine. Installed on the mobile equipment with adequate line-of-site to the surrounding area, the unit communicates with other CAPS units or personnel Tags to determine what assets are in the vicinity. Workers and operators wear ranging Tags that continuously communicate with nearby CAPS transmitters to determine their proximity from the monitored machines. The transmitter alerts the equipment operator of the potential danger and safety risk. To avoid vehicle–to–vehicle collisions, the CAPS unit detects the signals emitted by the transmitter on other pieces of equipment and activates the configured alarms and response systems as appropriate. Optional data logging of all tagged assets in the vicinity of the CAPS transmitter with on-board Micro SD memory card. Useful for accident investigation, productivity efficiency, or hazard analysis. CAPS has been successfully implemented on various types of equipment such as forklifts, underground haulage machines, trucks, bulldozers, and light–duty vehicles.